Complex restorative dentistry, although not a formal specialty, is considered to be very detailed and intricate. We practice “interdisciplinary dentistry”, which usually involves a team of specialists, in order to analyze the data gathered and to provide an appropriate diagnosis. The diagnosis leads to treatment planning and the execution of multiple procedures when necessary. This may include an orthodontist, periodontist, endodontist and/or an oral surgeon, or a combination of all four. Patients requiring this form of dentistry usually have multiple issues with a variety of signs and symptoms. They may include occlusal (bite) problems, mobility (loose teeth,) mal-alignment, periodontal (gum) problems, jaw joint dysfunction (TMD), chipped or broken teeth, and often esthetics that patients are unhappy with. Many patients are unaware of these indicators when they present for examination. However, each patient will be shown what is going on and treatment solutions will be explained during subsequent visits. The examination and diagnosis process usually requires multiple patient visits and frequently includes study club discussions and/or visits with other members of the interdisciplinary team. Every detail is explained to the patient with models, photographs and x-rays. 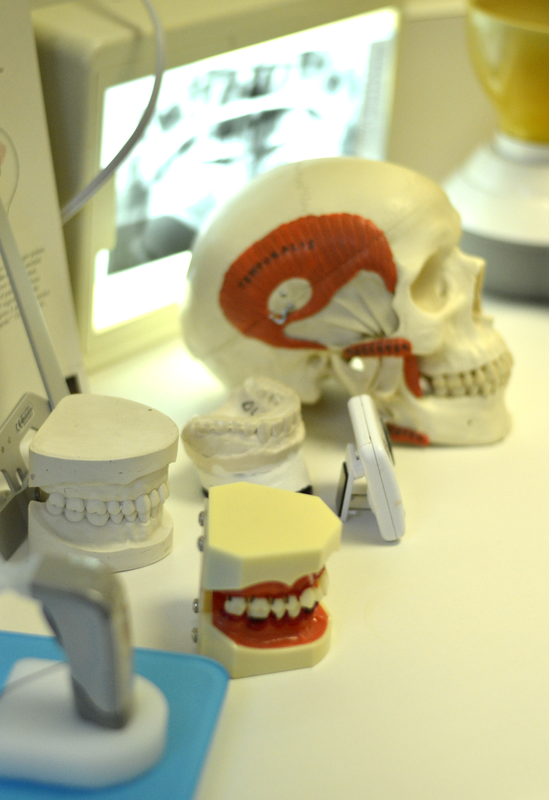 Often 3D imaging is utilized to guide treatment that requires an even higher level of precision than is typical.